Faut shudah (chhuti huwi) namazo ke kaffaare (muafi) ke taur par jo tariqa (qaza umri ka) eijaad kar liya gaya hai ye badtareen bid'at hai, is baare me jo riwayat hai wo mauzu (garhi huwi/fake) hai, ye amal sakht mamnoo hai, aysi niyat aur e'teqaad baatil aur mardood hai, is jahaalate qabeeha (buri jahaalat) ke butlaan (baatil/fake/bogus hone) par musalmaano ka ittefaaq hai. Huzoor Pur Noor Syedul Mursaleen Sallallaahu Alaihi wa Sallam ka irshad-e giraami hai: "Jis shakhs ki namaz chhoot jaye to jab usey yaad aaye ada kar le, uska kaffaara uski adayegi ke siwa kuchh nahi." Isey Imaam Ahmad bin Hambal, Imaam Bukhari, Imaam Muslim, Imaam Tirmizi, Imaam Nasayi aur 2sre Muhaddiseen ne Hazrat Anas Radhiyallaahu Anhu se riwayat kiya hai. Is se bhi badtar tariqa woh hai kuchh jagaho par eijaad kar liya gaya hai ke Juma ke ba'd namazein is gumaan se ada kar li jayein ke us se saal bhar ya pichhli tamaam umr ki namaO ka kaffaara hai. Aur ye amal nihaayat waazeh the(zaaher) wujoohaat ki bina par haraam hai. Also Read: Qabr aur Mazaar Ke Adab aur Kya Aurat ka Qabr Jaana Jaiz Hain? kam kar Le kyu ki in Dino Me Namazo ki Qaza Aurato Par Lazim Nahi. One can perform this Salaah anytime of the day after sunrise, sunset and Zawaal. One has the option to read all the Fajr Qada first, then Zohr, Asr, and Maghrib and Esha, or each one for a day. A maximum estimate record of all the Qada must be made and performed accordingly. It is better to read more than the estimated Rakaats, but not less. If one daily reads in this manner then all Qada will eventually be completed. So, do not delay or be lazy to complete them. No Nafil Salaah is accepted if one has Qada of any Fard Salaah. Niyyah for Qada Salaah can be performed in the following manner. Say you have 100 Fajr Qada. Every time you perform one Qada, say, “I intend to perform my first Fajr Qada.” In this way you will perform them all. The same method may be used to complete all Qada Salaah. If one has a lot of Qada to complete, then one must perform them quickly. 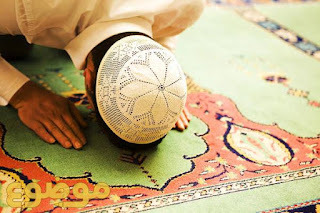 One may recite Subhaan-Allah (سبحان الله) 3 times instead of Sura Fateha only in the empty Rakaats (the third and fourth Rakaats in 4 Rakaat Fard (i.e.Zohr, Asr and Esha) or the third Rakaat in 3 Rakaat Salaah (Maghrib). There is no harm if one reads one Tasbeeh instead of three in the Ruku and Sojood. The Fard will be completed. One may read this Darood Shareef (Salawaat) اللهم صل على سيّدنا محمد و آله in Tashahud instead of the complete Darood-e-Ibraheem. In Witr, read رب اغفري once instead of the complete Du’a-e-Qonoot. Can we pray Qada namaz after Fajr and Asar? During the sun is rising or setting and at exactly midday, at these three times no Namaz is allowed. No Farz, no Wajib, no Nafl, no Ada (current), no Qaza (expired), no Sijdah-e-Tilawat, No Sijdah-e-Sahoo. However, if the Asr Namaz for that day is still left to pray then you must pray whether the sun is setting, but to delay it for so long is Haram.